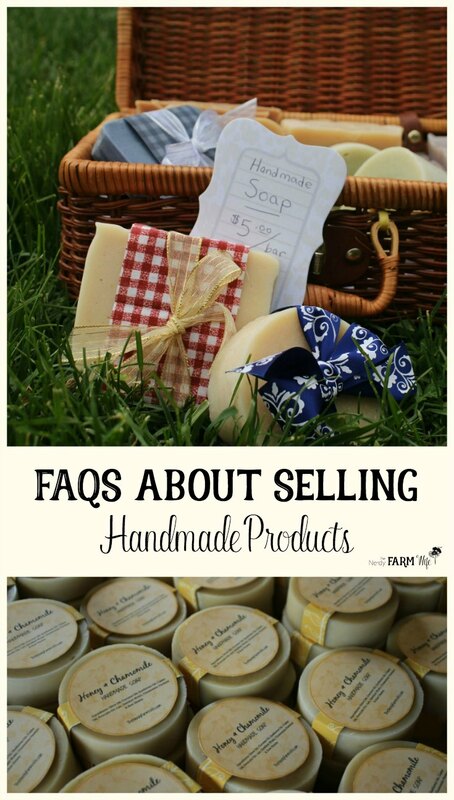 Are you interested in selling handmade products but aren’t sure where to start? Check out these frequently asked questions to get the answers you’re looking for! I frequently get asked about how I got started making and selling handmade products. Today, I’ll answer some of the specific questions on this topic that I’ve received over time. My son had a lot of allergies when he was little and it was impossible to find soap that he didn’t react to. I determined that I would have to learn to make my own bars, free from the fragrances and additives that caused him problems. Once I successfully tackled soap making, I started looking for other homemade products I could make for us. My favorite discovery was learning how easy calendula balm was to make. (HERE is the recipe.) I had been paying a small fortune for a brand in my local health store, so this was empowering indeed! After a while, I felt comfortable enough with my soaps and salves to start giving them as gifts. It wasn’t long before people were asking to buy extras from me. And that’s how I accidentally fell into selling. 1.) Is it profitable to sell handmade products? Good record keeping will allow you to sit down each quarter and see how your numbers are adding up. You’ll quickly realize if you need to adjust prices or make other changes. The handmade soap market is heavily saturated right now. The good thing is that it’s a consumable item and people always want more. The bad news is that you’ll need to try hard to stand out in some way. Instead of focusing just on soap, I tried to develop unique products, such as my popular lotions and lip balms. Even though I share the recipes online, it’s more cost effective or convenient for some people to buy it. 2.) What about insurance for handmade items? When I first started thinking about opening an online shop, I looked and looked and looked for information on insurance. It wasn’t easy to find. My conclusion was that: (a.) I had become a social pariah in the blogging world OR (b.) nobody had insurance, but they didn’t want to admit it or talk about it. Logic dictates that the second answer is most likely. I could write more on this topic, but I found this article HERE from TeachSoap.com that has some great information. Be sure to check them out and compare to anything your insurance agent has to offer. If you plan on selling at a farmer’s market though, you’ll likely be required to have some sort of liability policy in place. 3.) What about taxes and licenses? That’s another tricky question I get asked a lot. I took one accounting class in my life and hated it so much, I almost flunked. So, I am not the best person to ask. If you don’t already have a good accountant, ask around at locally owned businesses that you like and trust to find out who they use. A good accountant is worth every penny and then some. They can tell you details for your situation, but here’s what I did. I turned in a list of income and expenses from my blog and shop each year with applicable tax papers. There’s a 15.3% self employment tax on all of the income I bring in. (See this IRS link for more info.) Other taxes may apply as well and this will be different if you’re an LLC or other entity. If you’re self employed though, remember this 15.3% figure when calculating prices! Some states have extra rules and regulations as far as selling soaps and cosmetics; you may need additional licensing and/or inspections. THIS SITE has an excellent list of each state and its corresponding agency that can give you more information about that. 4.) Where can I sell my homemade products at online? Etsy – HERE is an excellent article filled with tips for success. Using PayPal buttons on your web site, HERE. Look into an online shop with Shopify or Woocommerce. Start a subscription box with Cratejoy, HERE. When figuring out prices, keep in mind that most options will charge you a small percentage fee for each sale. This helps with their overhead costs and so they can keep providing you with great services. 5.) What’s the best place to order supplies? There are so many great businesses out there, that I feel like I’m being limiting by offering up just the ones that I’ve dealt with. Don’t be afraid to explore new places and see how you like them! Mountain Rose Herbs: I’ve been a satisfied customer of Mountain Rose Herbs long before I started blogging. They have a great selection of dried herbs, essential oils, salts, clays, butters, and so much more. Since I live completely across the country from them, it takes a pretty long while to get an order from them, but it’s a small price to pay for such high quality. Bramble Berry: I love Bramble Berry because they hands-down have the absolute best customer service around. I think a requirement to work there must be an extra gene of niceness. They also have pretty much everything you could need or want to make soap, salves, and all sorts of goodies. Just like Mountain Rose Herbs, they’re on the other side of the country so it takes a while to get my order. Still, it’s well worth it! Bulk Apothecary: They have a wide variety of affordable ingredients and a large selection of essential oils for soapmaking. Rustic Escentuals: They have some great prices, especially on lip balm tubes and supplies. I also buy waterproof labels from them, which I use on lip balms. Nature’s Garden: Has the fastest shipping around! I was so pleased about everything with my order. They have some unique items that I hadn’t seen elsewhere. Lots of great projects on their site too! Soaper’s Choice: If you make a lot of soap and buy in bulk, this is the place to order oils from! Shipping is fast too. Specialty Bottle: They have the biggest selection and best price on tins, bottles, and containers that I’ve found. Since they have shipping centers in two parts of the country, orders arrive fairly quickly and always in great shape. Packhelp: (I haven’t personally tried this one, but have heard good things) They sell custom branded packaging in the EU. Nashville Wraps: They have all sorts of themed packaging (including green options). I used them when I had an Etsy shop and was very pleased. 6.) How can I get more customers? That’s the million dollar question that we all want to know! Eventually, my biggest source of sales came from my blog. Depending on what you sell, you may be able to approach one of your favorite bloggers and see if they’ll hold a giveaway for you. This is most likely to work with smaller blogs that you’ve seen hold giveaways before. You would provide the blogger with some free samples to try out and another set of goodies for them to give away. Sometimes you may have to pay a sponsored post fee to the blogger. Make sure to send them your best stuff! Some bloggers love giveaways, some don’t. My policy is to very rarely do giveaways and then only with a book I’ve written or that a close friend has written. You never know about other bloggers though, until you ask! Here’s another thing I did: After my husband lost his job, he took small bathroom tile and other odds & ends jobs while he was getting his new business off of the ground. I would go with him to help and we’d leave behind a little gift from my shop, usually a homemade soap dish and a few bars of soap. Tie everything up with a pretty ribbon and make sure your shop link is on it somewhere. Don’t forget social media! Instagram is a fabulous place to start showcasing photos of your products along with behind the scenes shots of products in progress. 7.) How do I know how much to charge for my handmade products? What about shipping costs? Pricing is tricky. What I did was go through Etsy and search for people that had similar products as mine. I looked and compared what they were charging with what I needed to charge to turn a profit. Go through the invoices/receipts for all of your supplies. I grabbed an old random invoice from my soap making notebook from a few years ago for this example. Prices will vary from vendor to vendor. I paid $6.90 for one pound of shea butter. Dividing by 16 ounces in a pound, that makes shea butter .43 cents per ounce. HOWEVER, you must not forget shipping! For this order, the FedEx shipping was $26.66. I ordered a total of 228 ounces of various oils altogether. Dividing the total shipping ($26.66) by the total oils (228) = I paid almost .12 cents extra for each ounce of oil that I ordered. So, my shea butter actually costs .55 cents per ounce. You’ll come up with a long list that might look like the one below. Don’t forget to include tins, jars, and lip balm tubes too. For each recipe you make, look at your master price list and figure just how much money you have into it. Don’t forget to allow for labeling and packaging costs too. An example: A double batch of one of my popular salves will fill six 2 ounce tins. The ingredients cost me almost $36.00 total or $6.00 per tin. I allow $1.00 for the cost of each tin itself plus the paper and ink to label it. Now, we’re at $7.00 per tin. Etsy and PayPal will take a percentage plus I have to remember to allow for at least 15.3% self employment tax. I’ll need envelopes or boxes to package it along with tissue paper, mailing labels, and other shipping supplies. On top of that, be sure to add in an allowance for the time you spend making, labeling, photographing, listing online, packaging, and driving to the post office. You can see how the hidden costs start to add up! Figure shipping in a similar way. Look at what other sellers are charging and match them. Over time, you’ll get a feel of what adjustments you need to make. International shipping can be difficult to calculate. I lost money on pretty much every overseas order until I started having those be custom orders only. I figure out rates using the online USPS postage calculator HERE. You don’t need a fancy postage scale to weigh packages; I use my soap making scale. 8.) Can I sell something I made, using a Nerdy Farm Wife recipe? My thought about this topic is that if someone has a top secret recipe they don’t want anyone else to use, then they shouldn’t put it on the internet! The exception to recipe use is if you copied my entire post, word for word, and put it on your site or Facebook page or in an ebook pretending you wrote it. Using my photos to represent your product is not okay either. That kind of content theft isn’t cool and it’s also against copyright laws. I know most people know this already, but it’s still good to mention it for those who don’t. You also shouldn’t make it appear that I endorse your products or include my name with them. DISCLAIMER: All recipes are made & used at your own risk. If you’re a product seller, please educate yourself in safe cosmetic making and product testing practices before making and selling bath and body products. I can’t be responsible for the products you create from the recipes on this site or found in my ebooks or print books. You alone are responsible for product and recipe testing to ensure compatibility and safety. Making labels for my products was probably the most challenging for me. I had to do a lot of experimenting! If you plan on selling, you’ll want to familiarize yourself with FDA regulations. HERE is an article on how to determine if your product is a cosmetic, drug and/or soap and HERE is their cosmetic labeling guide. A main takeaway from the FDA information is that making health claims about a product is a no-no. For example, I used to sell my Herbal Healing Salve on Etsy. Technically though, I can’t claim that the balm “heals”, since I haven’t put it through rigorous and documented scientific testing. So, I had to change the name to “Herbal Salve” in order to keep Etsy and the powers-that-be happy. Likewise, don’t claim that you have the cure for dandruff or athlete’s foot or wrinkles. 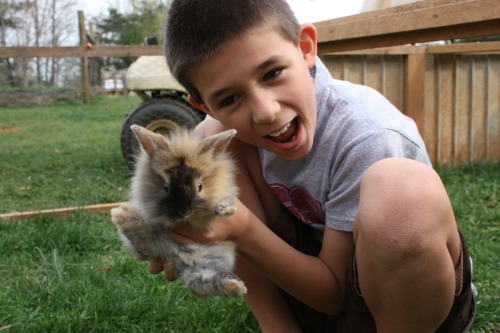 I know it’s restricting and annoying and repressive of small business and natural health…. but, those are the rules. We can sulk and grouch about it (I sure did for a while!) or we can just comply and get on with our happy life! Update: THIS POST about the FDA targeting a small business, brings home the point that you really need to follow the rules carefully, if you plan to sell your products. To stay up to date with legislation in the US that directly affects handcrafters, you may be interested in joining the Coalition of Handcrafted Entrepreneurs, which was created to advocate for small business owners. Some final advice I would impart is that running a shop or small business can consume much more of your time and attention that you would think. When I had a shop, I found myself sometimes getting stressed with keeping up with supplies and inventory and runs to the post office. Don’t feel guilty about stepping back as needed. Burning yourself out isn’t going to help in the long run. It can be hard to come up with the capital to buy the supplies you need to get your business going. I used our tax return to buy my initial batch of supplies and reinvested all of the money the shop made back into more supplies. As your shop grows, your extra income will too and you’ll be able to afford some of the luxury ingredients you’ve been dreaming over! Why Do you Need Lye to Make Soap? Tagged earning income. Bookmark the permalink. What school did you attend for herbal medicine? Awesome article. Bookmarking it so I can come back and review it as needed. Thanks Jan! Thank you so much for all of the information. It is very clear, honest and helpful. I love your blog and always learn so much and come away feeling inspired! Hello! I have just started making soaps and bath and body products in December of ’13, and I love it! I am searching all over for ideas, information, recipes, and everything else I need to get going. Right now I am in the experimenting stage, and handing out my finished products to ‘testers’ for feedback. I’ve made some mistakes, and I’m sure I’ll make more. :) I love your blog, and thank you for your information! It helps me a lot!! for those unique items check this store out! Thanks for sharing your shop Lisa! I stumbled upon your blog recently & adore it! I love your info & advice and it is similar to the info and/or advice I give to my clients/customers & students. I dig it! That’s awesome! Supportive husbands are the best! :) I’ll have to check out Bulk Apothecary – thanks for the recommendation! Considering starting my own business and have a few questions. Just wondering about local health laws and regulations. Do you have to have regular inspections from your local health department or any other city/state inspectors? Here in NV its illegal to sell home made edible items made in my own kitchen, and wondering how different it would be for cosmetic/soap products. I do realize we live in different states, but any thought would be helpful. http://www.mariegale.com/soap-and-cosmetic-labeling/labeling-state.html it looks like Nevada has more hoops to jump through. Sorry again about missing your comment and being so late to reply!! Check with local City, County & State for all permits and regulations for your area. Every place is very different. Local SBA is also a great resource! Yes, great ideas! Thanks for sharing! Have you tried http://www.bulkherbstore.com ? They are great for buying single herbs or mixes. Aaand they grow almost everything they sell, most is organic. Thanks for all the info, you don’t know how long I have been looking for waterproof labels, that I don’t have to buy in bulk. Hi Desiree, Yes! I love Bulk Herb Store. Thanks for the reminder to include them. I’m glad you found the waterproof label information handy! Thank you for the help. I/’m looking into selling my own thing stuff so I can still be a stay at home mom when my DH gets out of the military next year.. I still don’t understand labels tho. Hi Carrie P, I’m glad you found the information useful. If my label tutorials don’t work for you, I’ve had some people say they’ve had good luck at the Avery web site. I wish you the very best of luck in your upcoming business venture! Thanks for your article, I am consider start making my own soap because of skin problem I am having. It seems like every commercial soap I use it irritates my skin. You never know maybe a business someday . Thanks for your guide. Hi Cindy, I’m glad the guide helped! P.S. Love the photos of your soap, so pretty! Ohh, your shop and soaps are absolutely beautiful! The photos are gorgeous and the name is so charming! I’m glad you found the post helpful and encouraging. I know it’s a fine balancing act between what people will pay and what you need to charge to turn a profit, but for Etsy, yes, I do think your prices are a bit too low! Thank you so much for the valuable information and for your wonderful site in general. 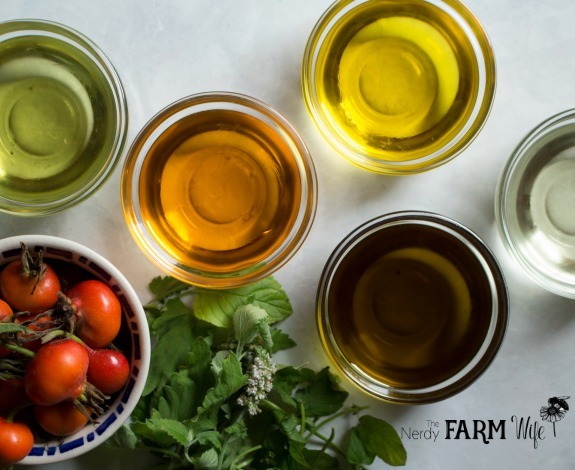 It’s a blog I always come back to for delicious recipes and encouragement as I venture into my own homemade tea blends and skin care product making journey. Hi Angie, I’m so happy that you like the site and find it helpful! Good luck with your tea and skin care product ventures! Love your information. A note to help people with taxes… Don’t forget to keep track of your mileage: to the post office and back, delivering products, to the store if you buy anything for your business, and one that people don’t usually think about, even if it is a trip to visit friends or a vacation if you promote or sell a product you can count it off on taxes. I have been in “self-employed” sales for many years and there are many tax breaks that people miss especially if they can’t afford an accountant yet. I do my own taxes and accounting. Keep every receipt and don’t miss thought deductions, especially household ones: phone, utilities, etc. Blessings! Those are some excellent tips, Shari – thank you so much for sharing! I have made my first batch of homemade soap with lye and goat’s milk. My soap on top has white crystals on it but the bottom does not. I can feel the lye when I pick it up. I really think I have to much lye in my soap. Can I re-melt the batch and add more goat’s milk? I think I need to water down the lye in my soap. Please help! Thanks! I re-batched my recipe and the oil came up on me. I added more oil, water and goat’s milk. I over did it, again. I re-batched it again but adding more lye solution. I can see the oil coming up on me. But it was a cake mixer when I poured it into the molds. 15 oz canola oil, 25 oz coconut oil, 40 oz of canola and virgin olive oil, 5 oz sunflower oil, 64 oz goat’s milk, 114.2 oz water, 17,5 of lye. I hope this turns out this time. If it don’t setup right, just throw the batch out. this will be upsetting to me. Please help! I used my own recipe. the amounts I have above are totals after 2 re-batching. If I can’t make this work, I will use someone’s recipe but I wanted to make up my own! I did use a lye calculator. Please let me know what I did wrong? I’m in the learning about this. When you rebatch, you don’t need to add more oil and lye and sometimes not even more water unless you add a tiny bit if it needs it. Usually it’s soft enough to melt up and rebatch on it’s on. I think you may have gotten to the point where you might have to discard this batch. I know how frustrating that is. My first several batches of soap turned out horribly. One even leaked all over my basement floor and I almost quit after that! For your first few batches of soap, I’d try a ready made recipe to get the process down pat. After a couple of those under your belt though, you’ll be ready to create your own! I am thinking about selling soap and other homemade products. I wanted to know if you have any tricks to keep lavender buds from turning brown in soap. Hi Mandy! Sadly, I haven’t found any tricks for that. They will stay purple for a while when sprinkled on top, but even then after several months will start browning. I wish I knew a way to keep that from happening. Good luck with your business ventures! Hello Jan, I really enjoyed your article and reading all about this (and everyone’s replies). My question for you is, I’m not interested in making the soaps, just to sell them on my own website that I have for baby shower/wedding showers. Do I still need a license to sell if I am purchasing them in bulk from someone else and I’m just selling them? I get a lot of request for soap favors and don’t even know where to begin when it comes to licensing or to buy in bulk from someone else. Any information you can give me would be great. Thank you! Hi Nancy! I’m not exactly sure of the answer, but from what bit I do know – you may need a resale permit from your state. If you do a search for your state’s department of taxation and then look in their “business” category or search the word: wholesale, then they should have some links for small business that will hopefully point you in the right direction. I wish I could be more help, but I just haven’t dealt with wholesale before so don’t really know a good answer to share with you. I hope you’re able to find this out though, and have the best of luck with your business ventures! Hi, hun! I am so glad that you made this post! I’ve been trying to look up this stuff for weeks, my eyes are hurting. Lol. Anyway, my dream is to have my own small business one day. I’m at the very beginning of my journey. My greenhouse is almost built and I have most of my seeds. Ha my post was too long. Well, I was hoping you’d know. Is there just a plain ole Mint plant? I bought a cutting from Walmart and planted it(after sitting it in a cup of water for about a week) well its grown now but I’m not exactly positive on the species. I found your blog while doing research for my small business management class. Excellent information to help me with a mock financial plan and forecasting. I am having difficulty finding first year revenue figures and sales estimates on the internet for this type of business. Could you point me in the right direction,please? Hi MeMe, I’m not exactly sure, but perhaps an organization for handmade entrepreneurs, such as the Indie Business Network, has data like that on hand? http://www.indiebusinessnetwork.com/ Good luck with your class project! Hi Jan! Thank you so much for this super helpful article. I recently started my own soap-making biz so this was great to stumble upon. I did want to ask, if it’s okay– I am having a lot of trouble figuring out what ingredients I need to list on my soaps. I contacted the CPSC about it but have yet to hear back. Do you have any advice regarding this? I really appreciate it! Hi Ayla! The Soap Queen has a perfect post on this: http://www.soapqueen.com/bath-and-body-tutorials/cold-process-soap/how-to-label-cold-process-soap/ I hope you find it helpful and good luck with your soap making business! I was just curious did you have to become licensed in herbology to make and sell your balms and salves? Hi anneburnfin, You don’t have to where I live (USA), but that might not be the case for all areas. From a few email conversations I’ve had, there seems to be a lot of licensing & regulation involved if you’re in the EU. Thank you for this information. I’ve recently started researching how to go about selling homemade products. The FDA thing stopped me in my tracks but after reading your article, am I understanding this correctly: As long as you label your products correctly and do not promote them as “healing”, “treating”, or any other medical term, the items are ok to sell? I want to make some items containing essential oils, and shea & cocoa butters and some containing witch hazel. And one other question, do you sanitize your containers before adding the finished product? Thank you! Hi Rustic Diva Design! Yes, label everything and don’t make crazy big health claims. There are some terms you can use – I found a wonderful list online the other day and now I can’t find it in my bookmarks!!! I’m going to keep searching until I find it and I’ll update this comment (and post) once I do. I did jot down from it that it was okay to use words like: Calming, Comforting, Energizing, Refreshing, Warming, Balancing, Hydrating, Moisturizing, Replenishing… But, you don’t want to outright claim that something cures anything. For sanitizing – I run glass containers through a dishwasher on the extra heat/sanitize/steam/kills-everything-but-the-jar mode. For tins though, I don’t want them to have contact with any moisture (rust), so blast them with a heat gun. Heat guns are excellent for smoothing down the tops of lip balms and salves too! Hi Jan, I’m starting a homemade skincare business. I have my products made and costumers interested. I am just trying to figure out the business logistics and your post has been very helpful. I was just wondering if you registered your business as a sole proprietorship? If so do you have to file quarterly taxes or you just file taxes once a year with your personal tax return? Also I’ve looked through the FDA’s labeling requirements especially for organic and homemade but I can’t find information on whether it is ok on the ingredients list to asterisk the organic ingredients as *organic ? BTw I get my ingredients organic from Mountain Rose Herbs and love them! Hi Ann Marie! Right now, I’m a sole proprietor, but my CPA is urging me to consider an LLC. I’m still pondering the benefits, but I’ll probably end up doing that this year. It depends on your income whether you’ll need to file quarterly taxes. Since I file together with my husband, who had a side business LLC, plus a regular paycheck job – there’s a lot of factors for us. You’ll probably end up paying quarterlies, but an accountant can tell you for sure. As far as the organic labeling – I’m not sure about that. I would check around and see what other high volume sellers on Etsy or well known cosmetic companies (maybe Burt’s Bees??) are doing to label their products and get a feel of how they do things. I love Mountain Rose Herbs too – such wonderful quality! Great post! Thank you! You are a wealth of information. Thank you for taking the time to share it. Hi Jillian, I’m happy to know that you found it helpful! This post was super helpful! I’m a high school student that wants to sell my own lotion! I’ve already made my branding for it and I’m super excited to launch it, however I’m unsure about laws that businesses must go through! I live in Canada and I’ve read a few things, however would you advise me to formally apply for a permit and such? I would only be selling the products to friends. Help please? Hi Haaris, I’m happy that the post was helpful. That’s wonderful that you want to sell your own lotion! I’m not really familiar with how things work in Canada, but here in the US (at least in most states), you can sell to family and friends (and usually the general public) as long as you don’t make health claims about your product. I did a quick search though and found this: http://www.creationsfromeden.com/resources/frequently_asked_questions/i_want_to_start_a_cosmetic_making_business_in_canada…_what_do_i_need_to_do It looks like Canada has a whole other set of regulations than the US does. I wish I could advise you better, but I’m just not sure of the correct answer to tell you. I wish you lots and lots of luck in your business venture though! I recently started making my own soap and skin cream. Now that I am going to craft fairs and festivals I notice that there are a lot of other soapers. I notice that they are selling Muscle Balm, and claiming that it relieves arthritis and soothes sore muscles. The other one has a salve and claims the same. Are these legal? They post on they’re Web sites that they cant make enough to sell. I thought that if you claim that it is a healing or medically relieving product that it would have to be cleared by the FDA is that true? Hi Tammy! It’s my understanding that you don’t want to name a product something that outright claims a cure (i.e. “Cancer CURING Salve” or “Muscle REPAIR Cream” or “Skin HEALING Balm”), but they should be okay saying something soothes and relieves. Here’s a list I found of some descriptors that should be okay to use when labeling and describing your products: http://www.herbhedgerow.co.uk/214-words-to-legally-name-your-skincare-products-without-getting-into-trouble/ It’s not completely inclusive though, so if a word isn’t on there, it doesn’t mean it’s not okay to use, or that it is okay to use – but it’s a wonderful and well put-together list that should help a lot! Thank you so much for all the great links. I typed in “What do I need to know to sell a natural salve” and your site popped up first! I ran across several natural products to help with pain and threw some together for me to use. AND WOW….it work right off the bat and now I want to share it/sell it because I know it works. Thank you so much for your hard work and for sharing! Hi Sandy, That’s great to know that I’m popping up in search engines! :) Your salve sounds wonderful and I hope you have lots of success in selling it! I came across your article while randomly searching Google. Your article is really helpful since I just started my business about 3 months back and still swimming in shallow waters. Hi Synara, I’m happy that the article helped you. Good luck with your new business – I wish you much success! I must write you that I LOVE your web, I found myself obsessed with your web page, every single information is just PERFECT. I already tried to make lip balm and I’m planing to make calendula salve as well and I’m sure, I will try more recipes from your web. Great post! I make soap just for me and my family. My husband believes I should sell them and I’m really thinking in doing so. I calculated how much it costs to make one and noted that the most expensive product to use is essential oil. I really don’t use as much as I should since we consume our soaps pretty quickly but if I sell them I want to use as I am suppose to. Do you buy EOs in bulk? If so, may I know where? I really don’t know how people use it since I’ve read it should be 1 oz ppo but that is one bottle! And 1 lb is a small batch so, I think soap makers must buy in bulk. Also, where do you get your molds? Those like Bramble Berry does not seem to me for making soaps to sell. I have some and I really like them but still don’t think are suitable for a business. Apologies for the long post. Hope you can help! Hi Emmalee! As long as you don’t make health claims that something will heal or cure a condition, you shouldn’t need FDA approval. Great post! I do however have a question: I’m looking to sell homemade salve at our road stand, but don’t know if I’ll “get in trouble” with the law. Do I need a license? Since I’m not selling online, I don’t know if your information applies to my situation. Any help would be great, thanks! thank you very much for all you beatiful information…i hope i be abble to translate all information in order for us to keep ahead with our project. we been making herbal tea (etnic) and weight lost tea for over 10 years and we have excelent results, but for long time me and my family allways dream to be abble to manufacture in the USA…….WE KNOW WE WILL DO GOOD. because it s a good product, but we dont know how to be legal in a small shop.. Thank you for providing this great resource. I’m looking into starting a small business since my youngest is getting ready to start kindergarten, and I’m in the planning stages. I have bookmarked this and will be returning to it quite a bit. It’s very generous of you, and your time. If I do get something off the ground, I’ll be sure to let you know. Hi Nicole, I’m so happy that the post helped you! I shared the extent of my knowledge here and have no legal training to personally advise others, but you could try contacting your local Small Business Association and they should have some great advice for you. Good luck with your business! How do you (or do you) comply with the FDA regulations for topicals? I have a question for you about selling oil from Greece, our family farm produces a small amount of oil every year. I receive about 100 gallons of extra-virgin olive oil every year. I usually give most of it away as gifts to friends. To ship the Oil from Greece to the United States it is very expensive , I would like to try to offset the cost of enjoying our families olive oil by selling some online. Do I need a special license because it’s a food product? Thanks so much for sharing this information! It’s the most thorough I’ve found! Hi Amy, I’m happy you found it helpful! Thank you for sharing all this information. I just started on Etsy and what you shared is pure golden! This insurance idea is scary and looks really expensive. I checked Etsy today and I don’t see anyone list that they carry insurance for selling soap. Do you not have to on Etsy sales?? Hi Annie R! I would guess that a lot of people that sell on Etsy don’t have insurance. (When I ask around, very few people report that they do.) It’s not required by Etsy in order to sell there. It’s just one of those things that you have to weigh carefully against your risk tolerance. For me personally, I’m at the point in my business where I feel most comfortable with an LLC and the various insurances needed. It took years until I got to where I could actually afford those things and not have to take from my grocery budget to do so though, so I know how difficult a position that is to be in! For a new and upcoming organic skincare line newbie, I have say this is some of the best information I have come across since startingthe production of my skin care line. I found this info golden. Keep doing what you are doing and I wish you all the success in the world:) thanks so much for being so insightful and for sharing this information? Did you ever talk more about blogging for income? I’ve looked around but cant’ find it if you did. My daughter and I are in the research stage of starting a business, which is how we found you. Thank you for all of the great information. My sister makes honey soap and I love it, I bought a kit at hobby lobby just to play around with and I have really enjoyed creating with it. Now I am going to try a kit from Bramble Berry’s. Just fun and sharing with family and friends so far. Thank you for the information ! Thank you so much for the wonderful information. I took a business course of Organic Skincare Business 101. I’m creating my skincare line and I didn’t see if you do need a business license in your site. I also selling decorated wall letters. I’m not yet selling any of my products because I’m testing it first, but wanted to know if you do need a license to sell it? Thank you and I look forward hearing from you. Hi Jacqueline! That will vary depending on where you live. Are you in the US? I’m in Virginia and I had to get a business license through my county. If in the US, do you live in a county or city? It didn’t cost much to set it up – maybe $50, and then each year they base the renewal amount on a small percentage of your gross income. I hope that you have lots of good luck with your skincare line! I’ve started making my own lotion and want to venture into selling it. My aunt used to have am eBay store selling soaps and lotions. Aiming for more “natural” ingredients and she said I would by law have to put a preservative in it to sell it. I found some natural ones and she says there is no such things.. I don’t want to compromise my products. Any help or links would be appreciated. When I googled it this came up so why not see if anyone has info! Hi Kristin! Nowadays, there are some nature-derived preservative options available so you can sell a safe product AND keep it “green”. I have a HUGE article I’ve been writing on for a while, where I took a bunch of them and tested them out, using microbial test kits. I hope to get that up this month or next. There are natural and synthetics mixed together, so you have to read through descriptions. I had excellent results with Leucidal Liquid SF and now use that in all of my lotions & creams. It’s REACH compliant, but there are some ECOCERT ones in there too (like NataPres). Let me know if you have questions about a particular one & I’m happy to share whatever information I have! Good luck with your lotion business too! Oh my goodness I just want to thank you so much for this and many other posts of yours! I’m a stay at home mom of two little ones that are super precious and… Slightly stressful ;) anyway, making my own products such as soap, Body Butter, bath salts and lip balm, have been such a joy! I gave a bunch as gifts for Christmas and birthdays recently and have had wonderful feedback! I made your oatmeal and honey soap – hot process , and that was the first time I’ve ever made soap and it turned out beautiful! I have a wonderful raw cow’s milk source and would like to try the same thought process recipe using the milk instead of water… Do you think that would work? Thanks again for all your wonderful posts, recipes and encouragement! Hi Chandra, So happy you like the posts and the oatmeal & honey soap recipe! :) Yes, you could definitely use milk instead – you would just want to freeze it before combining with the lye solution. I don’t make soaps but LOVED your info…I make whipped Body Butters, Do you have any info for that?? Advice?? I have a small fb page called Live Simple SL but I am wanted to grow. You had a lot of great info and you were very open to share. Hi Vic, I’m glad you found it helpful! This article covers pretty much all I know on selling handmade products, but for body butters, the main thing is that you can run into issues with shipping during the hottest months. I know some who ship their body butters priority mail with an ice pack to make sure they don’t melt during transit, and not out-of-country, during the summer months. Thanks for sharing the wonderful info about everything to start bussiness from home. I am interested to start a skin care business too but no clue how to start. Do you think doing online course about the herbal products is a good investment? Plus I am low on startup funds and want to minimize the initial investment, can you give me advice regarding this? Hi Sha, Sometimes, an online course will save you lots of time and from making costly mistakes. On the flip side, I can completely relate to being low on startup funds! I’ve seen many classes and courses I’d love to take, but just can’t afford them, so have pieced together the information from free or lower cost sources (like ebooks). So, it really boils down to how much money you have to invest in your business. Self-education is really important for growth, but so is having enough for groceries, so it’s a balance for sure! Can you please suggest any website or link where I can good info. And you might want to follow along with the Soap Queen blog since she writes stuff pertaining to business sometimes. Do you know or have an idea on what it takes to get a product approved by the drug admin? Hi Angie! I’m afraid that’s something I’m not sure about. I imagine it involves clinical trials and all sorts of expensive things though. Thank you so much for your suggestions I am going through all these websites which are really helpful but more I read more I get confused about preservatives.Do you have recommendations using safest preservative in lotion making? If you plan on selling lotions, you’ll definitely need some type of preservative in place. Hi Jessica, That’s a really good question. I’m just not sure about that one. I would say to ask the FDA, but then I feel that might put you on someone’s radar. Probably one of the top experts on this would be MarieGale.com – you could see if she has a way to ask questions or get consulting to help you figure out for sure. Good luck! I hope you find the answer! This article was exactly what I was looking for. I’m in the process of writing out my business plan and getting the ball rolling, I just needed the fine details for selling homemade products with out turning to a pyramid IBO scheme. Thank you so much for all of the information you’ve shared and helpful links you provided. Very through indeed. I wish you the best of luck in the future! I am researching selling my homemade cleaning products and your site is the best I’ve found for information. I hope I’m not making your repeat yourself, but can you provide any info on how to guard against problems such as a child ingesting the product? In my research I’m not finding a whole lot on how to protect oneself for those types of scenarios. This is a great read – the earthly body book – does it contain ‘professional’ recipes – as in does it talk about emulsions, lotions, gels etc? Great information thank you for sharing! I have a soap making question. 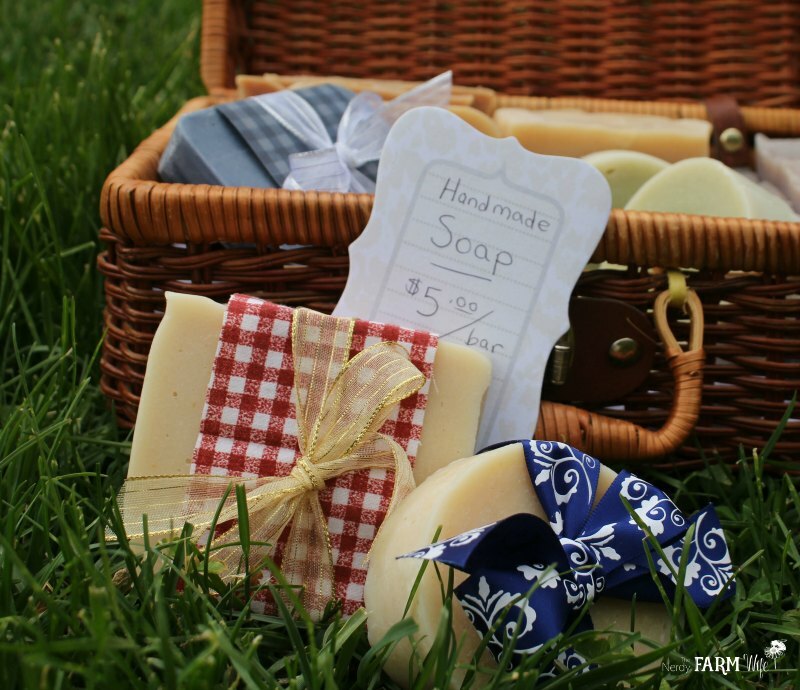 I have not tried making soap yet, but I’m interested in trying to create a moisturizing goats milk soap that I could package in plastic, glass, or stoneware tubs that would be solid, but soft enough to scoop out & use on a cloth or scrubby. What ideas can you give me? Thanks! Thank you for the detailed information and I must say as along time customer of mountainrose herbs, they do sell quality products. Hi – I always enjoy reading your blog and I love this article. I am an Etsy seller, but what I make cannot be gifted in sample sizes – I make purses. I make them out of remnants and used clothing. My thing is re-use, renew, recycle and up-cycle. I take gently used clothing that has a stain or a tear and use the good parts for making purses and tote bags. No two are ever alike. I do have a couple of patterns I created, but they are always made with different cloth and usually have slight changes to make them unique. And mostly I don’t even use patterns, but just make it up as I go along. I do all this on my grandmother’s old Singer because I like using it and have never used a modern machine. I keep my work simple – don’t even use zippers, but I think my creations are unique, lovely, useful, and sturdy. I’m not in this to make a living. Its more of a hobby for me. My prices don’t in any way fully compensate me for my time. My purses will never be mass produced so each one takes time – some more than others. But I would like to pick up sales a bit. I have a facebook page as well as my Etsy shop and I also share pictures on twitter along with a link to my shop, but I’m not much of a social media type person. Hi Jan. Thank you!!!! As mentioned by many– I kind of stumbled upon your blog:-) & very grateful I did because mine too is the question regarding licenses and federal laws. I must agree that you are most generous in sharing the information that can be somewhat daunting and intimidating. You outline and explain with easy to understand, well organized, yet detailed and up to date information!! And a super bonus– you, also, share relative links!!! Your reward shall be great indeed!!! Blessings to you and much continued success!! Hello – looking for some advise on a reputable company to conduct Safety testing on a facial product I am launching. Any advise? Thank you so much! 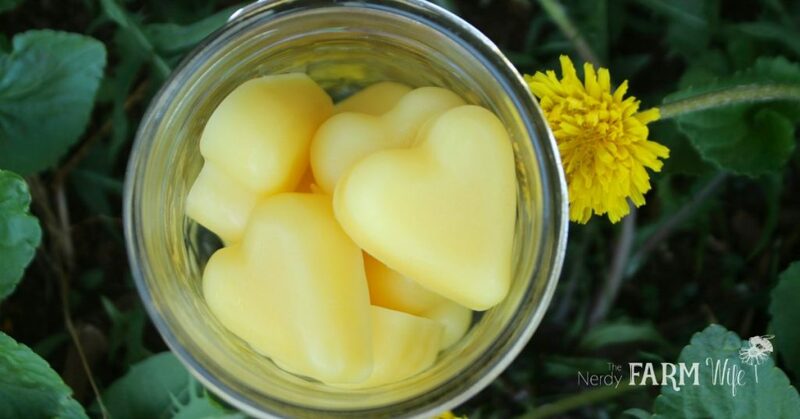 Hello, I have been making balms with shea, coconut, calendula and beeswax for a while now, and the last batch I made has some tins of balm showing white lumpy dots through the substance. Is this mold? Oxidation? Is it safe to use? not all the tins from the same batch have the dots, some are worse than others. Some even have a complete layer of white or pale looking balm. Please advise. I’m just getting started and this was so helpful. Thank you so much for sharing the information. Hello. I am interested in starting my own business and getting out of the corporate world. I came across your website and took notes even though my craft does not involve creating handsoaps etc. I wanted to thank you for sharing because your insight is still a blessing in regards to a potential business setup and where I might continue my research – such as insurance questions-. Hi Debbie, I’m happy you’ve found the article helpful! Good luck with your new business!! thanks so much jan. really love this article. I just skimmed the above and will save it to read later. My question is, I am considering selling these at my local farmers market, and thinking about the sun, heat, and humidity. How do they hold up in those conditions. Hi Mickeela! You’ll definitely want to keep your products out of sunlight & heat as much as possible. If you can get a shady/covered spot it can help. I’ve heard of quite a few sellers bringing a cooler to keep things in; also items like whipped butters are best saved for cooler months. I hope you have lots of success at your farmer’s market! What a fantastic article. Vey informative. My daughter and I are starting our own bath boutique from my home. This information has been very helpful. I am just wondering if I want to use my goats milk and don’t have a certificate for hygiene could I not sell my soaps? Hi Millie! I’m not really sure of the right answer for that as I never had to get a certificate of hygiene here in the U.S. I wish I could help further, but you’ll probably have to ask the governing body that provides the certificates & see what they have to say. Hopefully it will work out where you can use your goat’s milk! I am having trouble finding information about where I can legally make my handmade lotions. Can I make them at my home then sell online or would I need to produce my lotions and creams in a commercial kitchen? Hi Tiffany! That depends on where you live. Some states, like Florida, are very strict about those things, while others aren’t at all. I find this information to be very helpful. I just have so much fear that i am going to fail. Other than marketing, what should be my first step? do i have to go to school to do this?